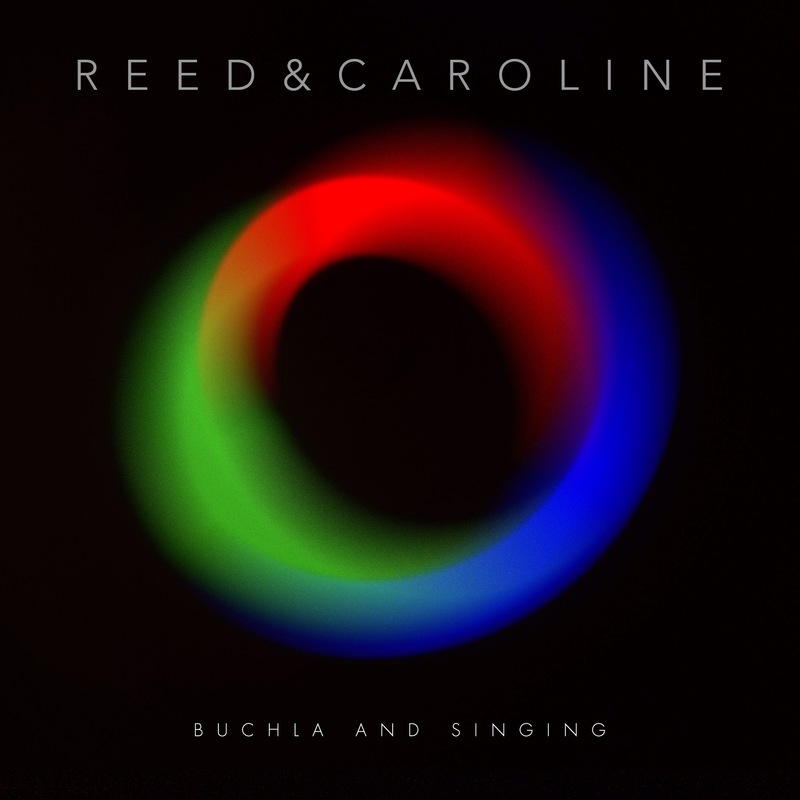 VERY RECORDS are pleased to announce details of the debut album by Reed & Caroline, Buchla & Singing, which will be released on October 14th. The album will be the second release on Vince Clarke’s Very Records label. Buchla & Singing is just that – vocals and nothing but a vintage synth. The album was conceived by New York electronic musician Reed Hays using only a Buchla modular system, interwoven with the pure, angelic vocals of Caroline Schutz from the bands Folksongs For The Afterlife and The Inner Banks. With songs celebrating the humble electron and the equally underappreciated washing machine, Buchla & Singing takes in shimmering, spacey synth pop, tales of roadtrips, quirky bedtime stories, and pieces grounded in austere classical minimalism. Reed Hays met Caroline Schutz while they were studying at Oberlin College. Hays, a cellist, had arrived at the school under false pretences, switching to their new electronic music programme just to be able to get his hands on the college’s Buchla synthesizer. Art major Schutz only discovered that she wanted to be a singer after graduating and schlepping round the States as a graphic designer for the touring Lollapalooza festival, before realising that she could sing better than some of the bands she was supporting. The third member of this duo is Hays’s Buchla. Best known as the go-to synth for producing crazy R2-D2 sounds, Hays has managed to coerce his system into producing a broad array of unorthodox styles here: whether classic analogue electro pop on ‘John And Rene’, rippling randomised arpeggios that nod to classical music, or the crystalline sounds of glassware being washed on ‘Henry The Worm’, a cute story that could have been conjured from the warped imagination of Lewis Carroll or Eric Carle that follows the adventures of a worm as it crawls around a restaurant. Buchla & Singing is the sound of a tricky synth being put through its paces in ways that its creator never envisaged. Buchla & Singing will be released as a digital download and as a CD available from www.veryrecords.com on October 14. Most people pronounce it wrong. It’s pronounced Boo-cla. It’s a Dutch name. Don Buchla was out in Berkeley, California in the sixties, designing synthesizers at the same time that Bob Moog was over on the East Coast, but they never spoke to one another. Buchla worked for NASA in the sixties and he developed technology for fuel sensors on rocket tanks. He put those on the synth he developed. They respond to how your fingers touch them. There’s no keyboard, just these touch pads. For me, being a string player, it’s something I can really relate to, but it’s a really difficult piece of kit to use. Nothing’s labelled like any other synthesizer. Making this album just with that synth was a real challenge. Buchla came from a crazy background. Some of the first modules he designed were for Ken Kesey’s Electric Kool-Aid Acid Test. Those were all red modules. The rumour was that if you licked the red module you’d get high. I have some of those original modules. Did I lick it? I don’t know what you’re talking about. On this album, I set up a lot of arpeggios, dialling them up on little sliders and having them addressed randomly. I was letting the Buchla do the work for me in writing some of those arpeggios and chords. It really is like having another collaborator. Even though I’d set myself the challenge of making the album on the Buchla, I wanted to cheat. I wanted to use a Moog for the bass, which is what you’re supposed to do, but actually in the end I got a great bass sound on the Buchla. ‘Washing Machine’ has a Sennheiser vocoder, but the vocoding on all the other songs is done on the Buchla, so in the end I didn’t cheat really. I had one once but I sold it. It’s way too difficult to use.